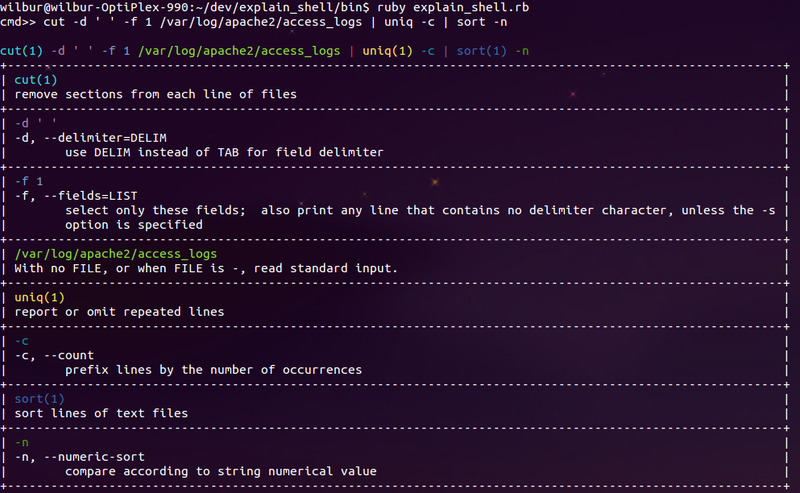 tar zcf - some-dir | ssh some-server "cd /; tar xvzf -"
This article was posted in ruby, 运维工具 and tagged explain_shell, nokogiri, open-uri, ruby, terminal-table, uri. Bookmark the permalink. Follow comments with the RSS feed for this post. Post a Comment or leave a trackback: Trackback URL. I can genuinely obtain useful facts regarding my study and knowledge.